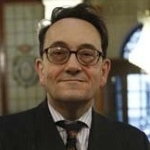 Felipe Fernández-Armesto – William P. Reynolds Professor of History at Notre Dame’s College of Arts and Letters, currently teaching in London – has been awarded Spain’s highest honor for contributors to science, scholarship, education, and the arts: the Order of Alfonso X the Wise. Professor Fernández-Armesto is also a Fellow of the Nanovic Institute for European Studies. 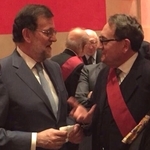 Spanish Prime Minister Mariano Rajoy bestowed the Grand Cross upon Fernández-Armesto at a ceremony at Madrid’s Prado Museum on February 27. 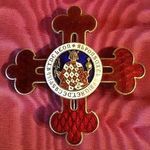 The Grand Cross is the highest category of the Order, reserved for a maximum of 500 living individuals or institutions of extraordinary merit. It is conferred by Royal Decree on the recommendation of Íñigo Méndez de Vigo, Grand Chancellor of the Order and Spain’s Minister of Education, Culture, and Sport. In addition to his new title, Excelentísimo Señor Fernández-Armesto received the insignia shown right – a crimson sash with a pendant cross and a large pectoral cross of crimson and turquoise enamel. The latter is adorned with the image and seal of King Alfonso X “the Wise” of Castile (r. 1252-84), whose many contributions to learning and the arts include a cycle of hymns in praise of Our Lady, the Cantigas de Santa Maria. To name just a few of his merits, Fernández-Armesto has won the World History Association Book Prize and Spain’s national prizes for geographical research and food writing: the Premio Nacional de Investigación and Premio Nacional de Gastronomía. He has written 20 books translated into 27 languages, as well as a monthly column in Spanish daily newspaper El Mundo. Fernández-Armesto’s teaching career has seen him from the University of Oxford, where he earned his undergraduate and doctoral degrees, to the University of Notre Dame where he has taught since 2009. The London Global Gateway hosts his ‘Global History’ class every spring. Originally published by Rina Buznea at international.nd.edu on April 28, 2017.